Do you remember the first time you interacted online socially? Mine was back in 1998, when I received my 1st computer. 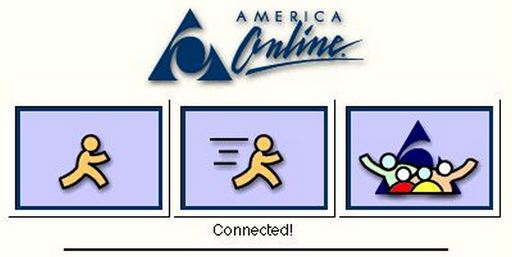 I remember getting on AOL chat with my girlfriends during slumber parties and trying to see what guys we knew were online from schools around the area. Yes, this was the thing to do in jr. high and no one was ever worried about us chatting w/strangers back in that day! Today though, Social Media has evolved into a whole new universe. I attended a Chase Business Insight Seminar recently and had the pleasure to hear Tim Sanders speak on “Win Business Using Social Media” where he talked about the history of Social Media, and it opened my eyes to the entire evolution. Did you know that Social Media has its roots in the 80’s? Tim Sanders (@SandersSays) talks about Listservs and the evolution of email (it went mainstream in the 90’s when the Forward button was added); while also hitting on the transition from online forums and bulletin boards to instant messenger. All of these have given birth to what we know now as Social Media. We now have email in the mainstream, Blogs instead of Online Forums and Bulletin Boards, and Social Networking sites like Twitter/Facebook instead of Instant Messenger…though IM’ing is still used, its not as prevalent anymore. I wonder where the next 5-10 years will take us now, seeing as how this evolution has spurred in only a timespan of the last 15-25 years!